Brown is one of the stars of the new CBS Series, “Hostages,” which is set to debut in Fall 2013 on Monday nights at 10:00 p.m. Toni Collette, Dylan McDermott, Tate Donovan, Sandrine Holt, and Rhys Coiro also star in the series, which is executive produced by Jerry Bruckheimer. He plays the role of Archer, a quick-tempered ex-military operative who rounds out the hostage team at the center of a political conspiracy involving the President. Also in the fall, he will continue his recurring role in the upcoming season on the acclaimed FX series, “Sons of Anarchy” as August Marks. He just starred on producer, Howard Gordon’s TNT pilot, “Legends,” opposite Sean Bean, which will air in 2014. 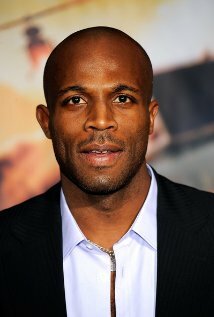 Brown recently had a recurring role on the new FOX hit series, “The Following,” opposite Kevin Bacon and James Purefoy. He also portrayed the role of Miami Metro detective, Mike Anderson on Showtime’s “Dexter” for two seasons, starred in the critically acclaimed FX series, “Lights Out,” and was named by The Los Angeles Times as one of 2011′s Faces to Watch. Other TV credits are “Californication,” “Law & Order: SVU,” “Southland,” “Sleeper Cell,” “Dirt,” “E-Ring,” “Criminal Minds,” “NCIS,” “CSI: NY,” and “Cold Case.” His feature credits include “Star Trek,” “Cloverfield,” “Race To Witch Mountain” and “Lakeview Terrace.”Brown is also the exclusive voice of the United States Marine Corps. Do you want to hire Billy Brown? Directly request a quote. In 48 hours we can send you the availability of Billy Brown If you would like to book Billy Brown, Entertainment Booking Agency is the right place. We will offer you the best price and contact the management or we directly contact Billy Brown. For corporate appearances or speaking engagements you can contact our agents and the will help you true the process. Tags: hire Billy Brown, Billy Brown booking, book Billy Brown, Billy Brown appearances, find more information on booking Billy Brown for appearances, Billy Brown speaking engagements, Billy Brown endorsements/spokesperson, Billy Brown appearance fees, Billy Brown booking agency contact info, biography of Billy Brown, Contact an artist booking talent agent find a speakers bureau that can book Billy Brown, speaker booking agency for Billy Brown, Billy Brown booking agency, Billy Brown booking for corporate event. EBA is one of the biggest entertainment booking agencies in the World. We book hundreds of celebrities, artist, athletes and speakers in a year. Important to know is that we are not claiming to be the management of Billy Brown. We are not the official agent for Billy Brown. Companies from around the globe book these artists and speakers true our company be course we have one of the biggest networks and we always have direct contact with the artist or the management. We help you to find the right celebrities for your corporate of private events. Please contact one of our agents to get free advice and we will help to get the world-famous artist on your party.